You have some brands I really love like Lean Pockets and Crystal Light! You've had such success at getting & staying fit that you're an inpiration! What a great list of sponsors! I have Bodymedia and love it. It's such a great way to keep track of movement and sleep. That is such an adorable image. 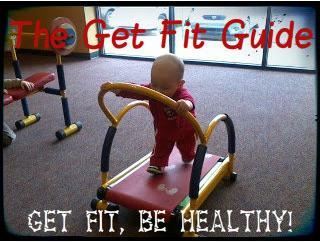 thanks for letting me know about the 2013 Get Fit Guide. That is actually my nephew on a mini treadmill at the gym my sister goes to! :) I've always loved it! Such a cute picture! I am going now to check out the giveaways.